The popularity of business process outsourcing (BPO) has increased over the past decade or so. Now, businesses are feeling safer and more confident to achieve their targeted goals with the help of third-party servicing agencies. It’s nearly impossible to find a jack of all trades, which means it’s extremely hard to find a business entrepreneur knowing everything all alone. Entrepreneurs across the globe are making optimal use of several business process outsourcing options for fulfilling various internal and external needs of their businesses such as managing payroll, human resource (HR), accounting, bookkeeping, or handling clients. In simplest terms, it is the delegation of a specific business task(s) to a third party service provider. From managing HR-related activities to bookkeeping — it covers almost each and every aspect of the business. For most small to medium scale enterprises, it’s more or less a blessing because it helps you seek ways to adapt and stay competitive. BPO is a very common practice among corporations and large-scale enterprises as well. Outsourcing some activities to a third-party service provider that has expertise in handling core business operations helps you save a lot of time, money and resources. Business process outsourcing is usually divided into two major categories that include back office outsourcing and front office outsourcing. Back office outsourcing includes internal business operations such as procuring, purchasing or billing and front office outsourcing includes customer-related services and support. Therefore, companies need to decide on which type of services they hope to acquire from a suitable third party services provider. The climate of outsourcing may be facing a paradigm shift by either promoting itself or facing demotion which signifies that the market is proactive and able to generate a great amount of activity. A set of people with superior expertise and knowledge usually offer the market a huge range of business management-related activities that help organizations to focus more on core areas of the business, simultaneously allowing them to care less about some other areas of business. Now, companies outsource their redundant internal processing tasks to third party service providers that have specialized knowledge in their respective fields. Moreover, most organizations around the globe cannot afford to hire in-house teams to manage each and every thing. What they do is outsource some of the functions and activities to outsource players to cut HR and other costs and improve efficiency in the processes. However, there are several pros and cons related to BPO that are briefly explained below. 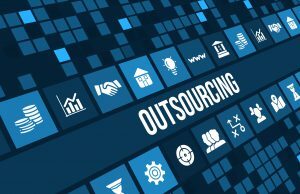 As businesses tend to remain more focused on bringing innovation, staying competitive and productive, outsourcing is a great way to achieve all of these things. Acquiring the services of experienced and well-qualified individuals or agencies can help you increase your organization’s overall productivity. This will allow you to focus more on managing core business affairs as you will have more time for that. Cost saving is probably the second most important benefit of outsourcing. Hiring in-house teams for managing HR, accounting, marketing, financing and, hence, everything in an organization is pretty tough. Thus, outsourcing some portion of such activities to outside players can help you save a lot of money. Plus, you also save on technology and infrastructure which means you won’t need to build standard facilities or purchase equipment for getting things done. In short, choosing the right business process outsourcing can help you achieve intended outcomes at a reasonable price. Outsourcing means sharing sensitive information or data to third-party service providers. This may cause companies a great deal of stress if their data gets misused in some way. Therefore, you must always find credible agencies for getting your crucial business tasks done. In order to avoid hidden costs, such as legal expenses, you must ensure that everything is spelled out in the agreement and signed readily by both parties involved. Choosing an outsourcing partner you can trust can help you prevent financial surprises.